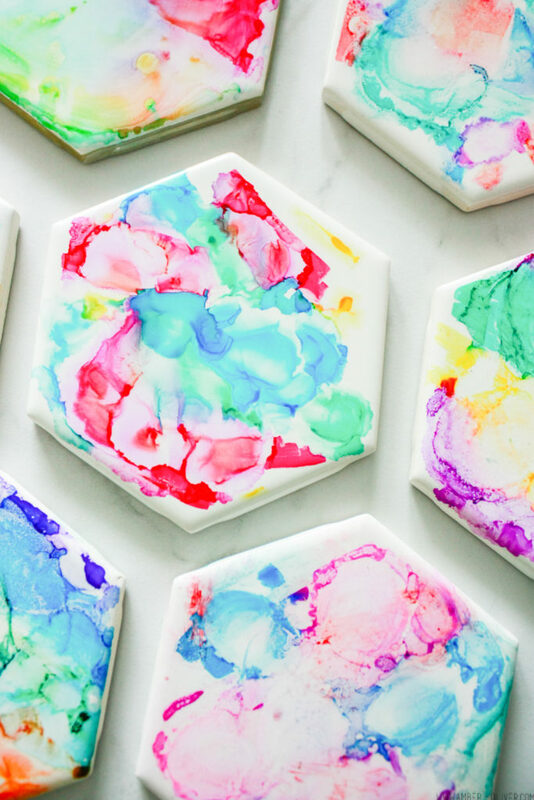 DIY Coasters - Made with FIRE! 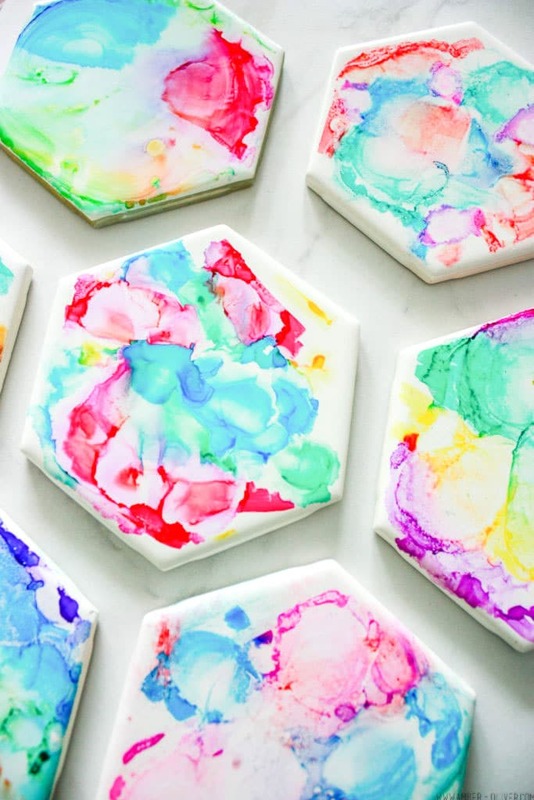 Sharpie and Alcohol Coasters – Made with FIRE! This is a FUN project! 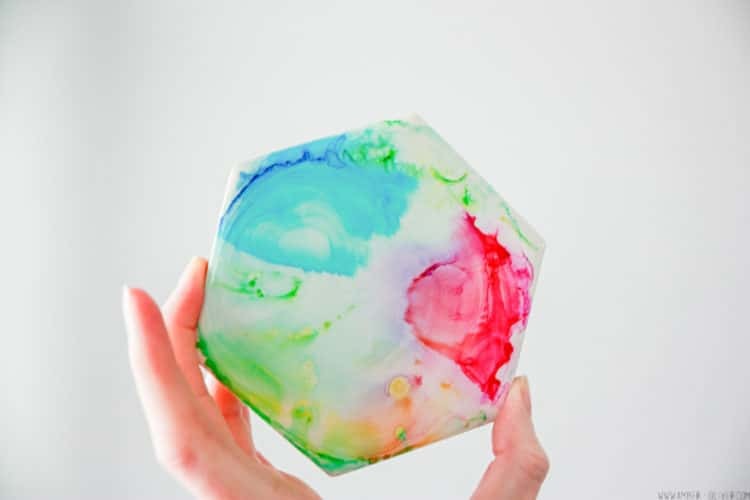 Using a few basic materials you can create AMAZING DIY coasters with an unexpected twist: FIRE! 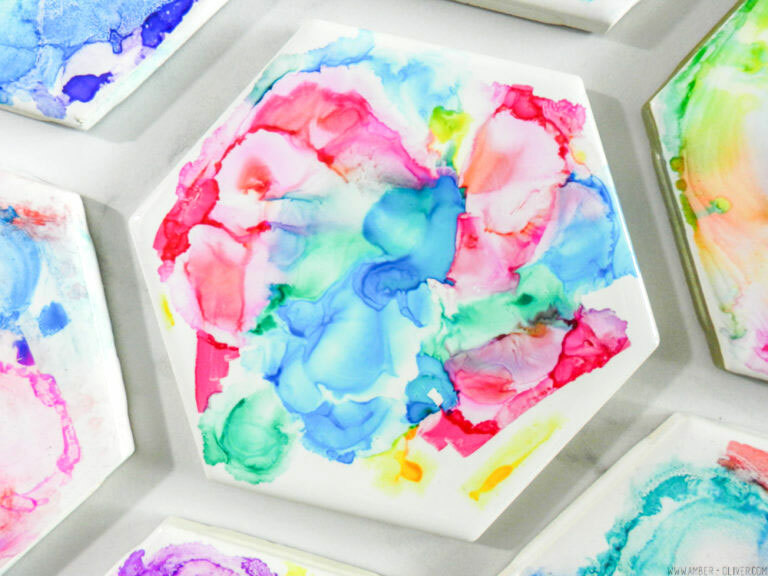 There are some obvious precautions you should take with this project but with adult supervision this would be a super exciting project for kids needing entertainment OR for adults who want to create custom pieces for their home. 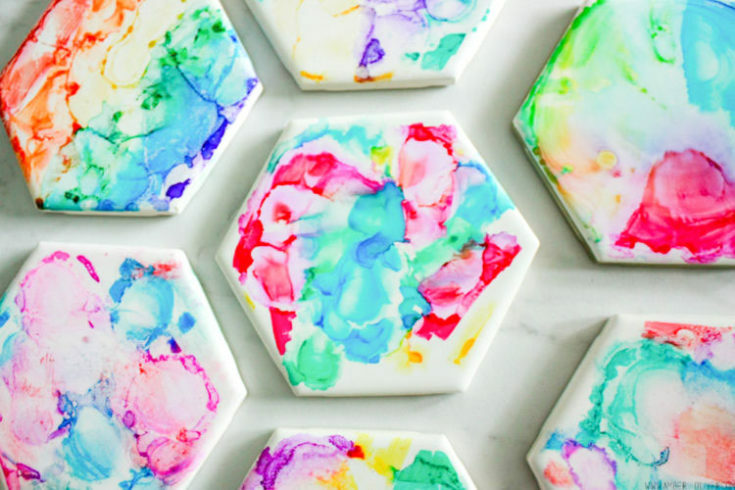 How to make stylish DIY coasters (sharpie and alcohol coasters!) with inexpensive ceramic tile, markers, isopropyl alcohol, and FIRE! 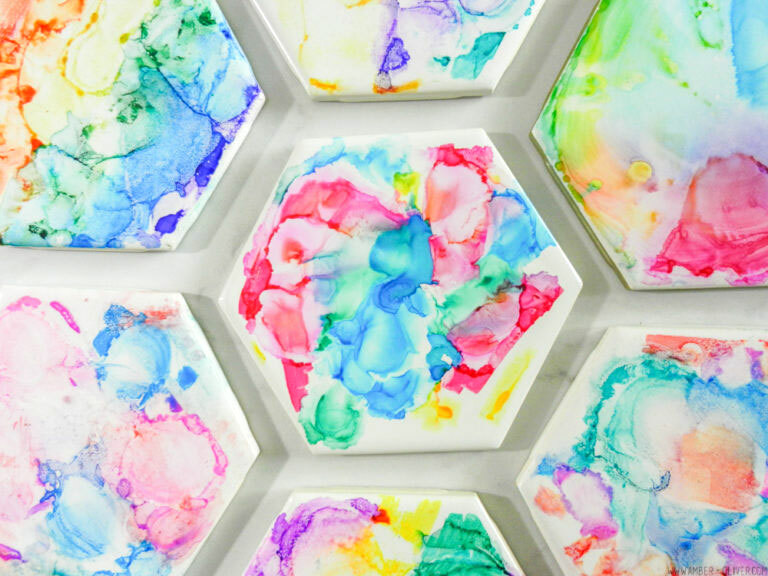 A fun project for (supervised) kids OR adults! Below is a video tutorial, but here are the step by step instructions! STEP 1: Scribble on coaster with markers. I found these cute ones for less than $0.50! Try different patterns and spacing to see how the tiles can turn out differently. I like ones with more white, but the ones with the colors close together had a cool look to them as well. STEP 2: As soon as you’ve colored on your tile with marker, cover the surface with isopropyl alcohol. STEP 3: Light the alcohol on fire with a lighter. Make sure you are working on clear and safe surface. There should be nothing near the tile before lighting it (be sure to move the bottle of isopropyl alcohol far from the tile before lighting it) and keep a fire extinguisher nearby! The fire only burns long enough to burn the alcohol off the surface. On these small tiles, it only burned for about 20 seconds. The tiles didn’t get very hot when I did this project, but it’s a good idea to have something under your tile like a baking sheet or hot plate. I used regular Crayola Markers for this project, but you can use Sharpies as well. Just be sure to move quickly so the ink doesn’t have time to dry! After you’ve completed your tiles, be sure to spray a clear protective coat over top so they are waterproof! You’ll also want to add felt on the bottom so you don’t scratch any surfaces in your home. Amber, these are seriously amazing! Do you know if this process would work on glass?